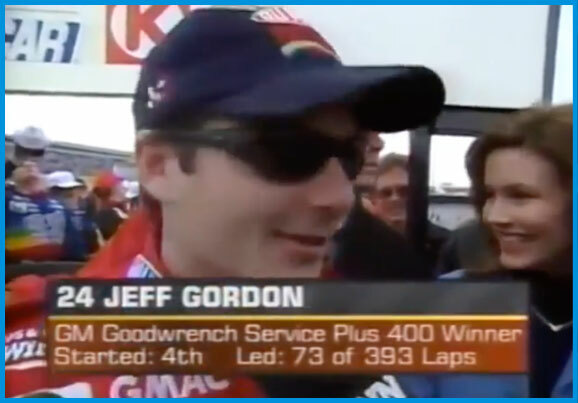 Jeff Gordon got career win number 30 on February 22, 1998 at Rockingham, with a secret weapon: PSI valve springs. This was the first NASCAR race ever for PSI springs. 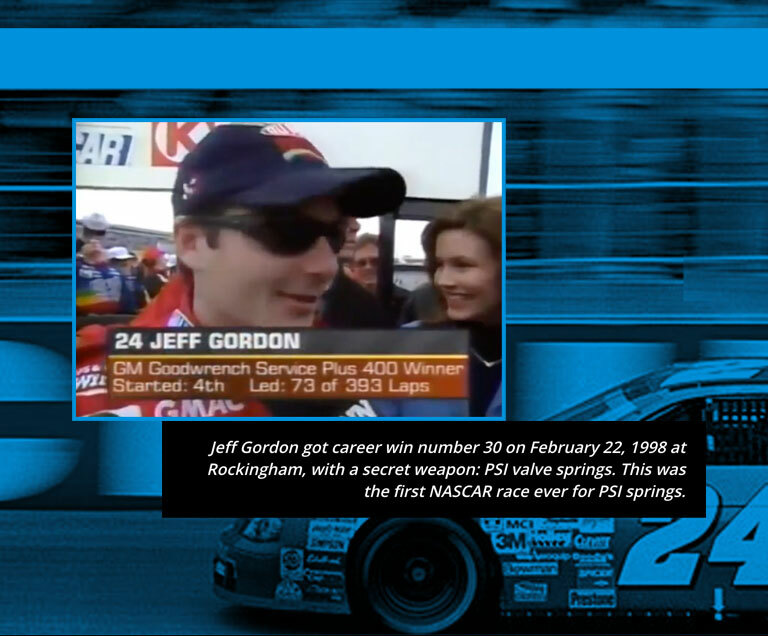 Jeff Gordon got career win number 30 on February 22, 1998 at Rockingham, with a secret weapon: PSI valve springs. 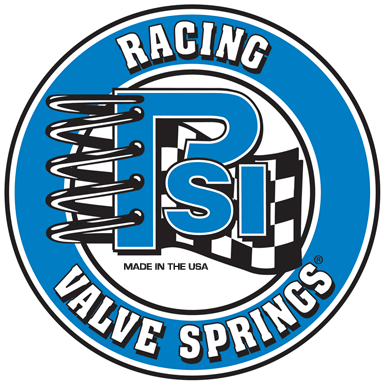 These were the first PSI valve springs used in a NASCAR race, but they wouldn’t be the last. Within a few years, virtually all of the teams were using PSI springs, revolutionizing engine building…as well as the country’s most popular motorsport. After Jeff Gordon’s win at Rockingham in 1997, NASCAR engineers knew. PSI had just revolutionized the sport.